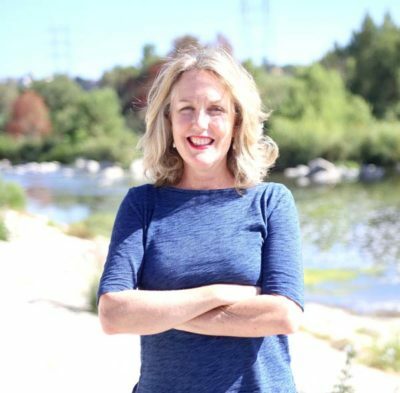 Carolyn Ramsay is a candidate in the council district run-off election. After a victorious election the winner in the run-off Tues., May 19 for Council District Four will inherit a hefty plate when they take over the reins from Tom LaBonge July 1. The Academy Museum of Motion Pictures Arts and Sciences is planning a blockbuster venue in the Mile. The L.A. County Museum of Art has world-class architects drawing expansion plans, and CIM Group’s luxury residential development for the 10-acre Farmers Insurance parcel is moving forward. Meanwhile, manionization, preservation, development, subway construction and other quality-of-life issues are on voters’ minds, such as on a recent Sunday morning. Candidates Carolyn Ramsay and David Ryu met with about 30 residents at a board meeting in Sycamore Square. “Carolyn and David talked to our biggest issues, the top one being mansionization,” said Ann Eggleston, president Sycamore Square Neighborhood Association. The candidates will continue to address issues at a debate set with the Neighborhood Council Forum on Thurs., April 30 at 6 p.m. at Forest Lawn. They next head west to a Park La Brea Residents Association forum on Thurs., May 7 from 7 to 8:30 p.m. in the Park La Brea Theater. Ramsay was slightly ahead in the March primary election to replace her former boss Councilman LaBonge, whose term limits have expired. Besides LaBonge (she was his chief of staff), Ramsay is endorsed by several council memembers including Council president Herb Wesson. 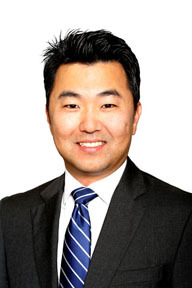 David Ryu came in second place in the March election. Ryu is director at Kedren Acute Psychiatric Hospital and Community Health Center. He also served as senior deputy to then-county supervisor Yvonne Burke, who is among his supporters.